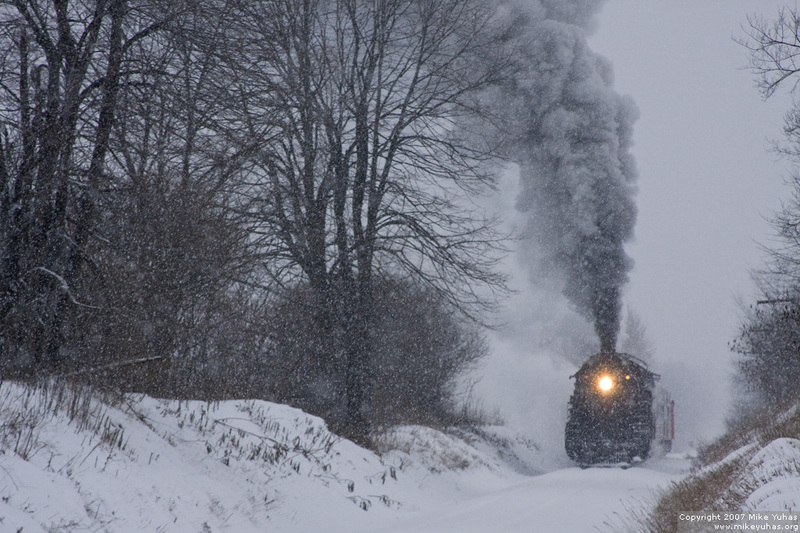 Santa train heads south behind Soo Line 1003, a 1913-built 2-8-2, south of Fredonia. The State of Wisconsin bought this trackage from Canadian National in 2005. It's operated by Wisconsin & Southern.